The Galleons Passage sits in the harbour of the Scarborough port on September 2 on in its first trial run to Tobago. The Galleons Passage continues to undergo a number of sea trials before it can be sent on the second test run to Tobago, after its first failed attempt to properly dock at the Scarborough’s Port a week ago. 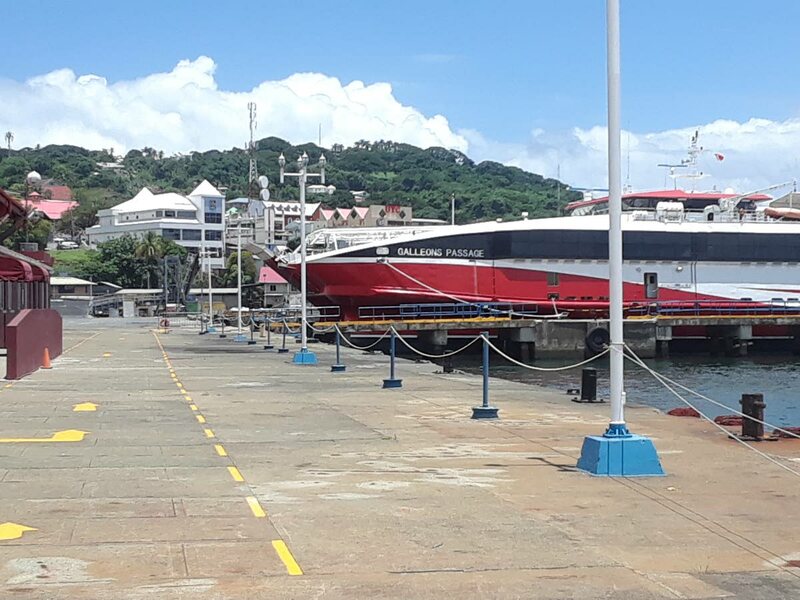 Sunday Newsday was told by Port Authority of TT chairman Lyle Alexander that the vessel was expected to return to Tobago sometime between last Thursday and yesterday. However, Minister of Works and Transport Rohan Sinanan yesterday said he had no information on the Galleons Passage making its second test run to Tobago between that time, adding the vessel was undergoing a number of trials to ensure all issues are first addressed. He was unable to say exactly when the vessel would return to Tobago but assured it would be soon. Sinanan said up to Friday the engineering team on board the vessel were conducting a number of drills to make sure the crew was fully prepared for the second sea trial. On September 2, after a four-and-half hour sailing to Tobago, leaving Port of Spain at about 6.20 am, the Galleons Passage could not dock at the Scarborough port on its first test run from Trinidad because the bow ramp was too short to reach safe landing. The ramp stood approximately 20 feet above the landing area making it impossible for those on board to exit. After two hours the vessel made a second attempt, at 1 pm, using the stern ramp but aborted the exercise and returned to Trinidad. On board the vessel during its first test run to Tobago, the Port Authority chairman said the second attempt was aborted because of safety issues; not because of the vessel’s ramp. Alexander further explained the captain decided not to make the second attempt using the stern ramp, and that the vessel needed a bow thruster. A bow thruster is usually fitted on either the bow or stern of a vessel to allow for manoeuvrability. Sinanan said it was unlikely that he would be on board the vessel during its second sea test run to Tobago since the trial was not a “joy ride” for ministers but for the technical team to ensure operations run smoothly and the vessel was safe for passengers. Reply to "Galleons onmore sea trials"